As someone who has spent a lifetime in education, I’m always on the lookout for free or cheap ways to do cool stuff in classrooms. Whenever a new idea comes out, I always try to find ways to lower costs or to get the latest fad for free. I obviously don’t mind spending money on quality products (hello, Apple and WordPress), but I have to be wowed before I can be convinced to splurge on something that costs money. I’m fearful of not spending wisely or spending money on something that could be irrelevant in a year or two. It seems that technology improves so fast that it can be difficult to commit to anything because you fear your purchase might be obsolete in a few months. As David Pogue wrote in Scientific American, “It’s human to fear new technology.” However, you can’t let fear of making a bad decision paralyze progress. You need to take chances and try your hardest to give students all the tools they will need to be competitive in an ever-evolving workplace. Watch the founder of the company, Ayah Bdeir talk about why she wanted to democratize hardware. 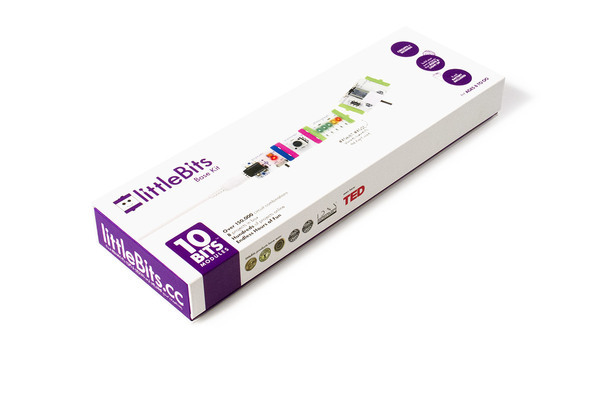 After watching her talk and playing with Little Bits, you’ll realize why they should probably be a cornerstone of every classroom makerspace.